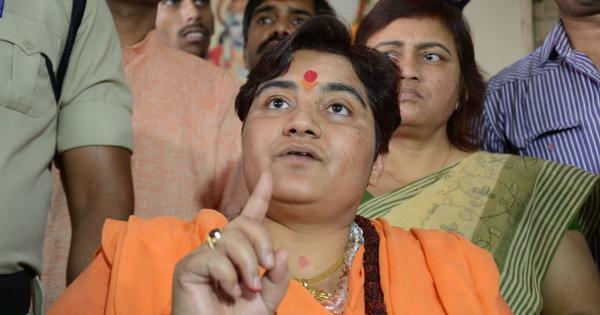 * A total of 143 MLAs (59%) in the incoming Bihar assembly face criminal charges, and 96 MLAs face serious criminal charges including murder and kidnapping. 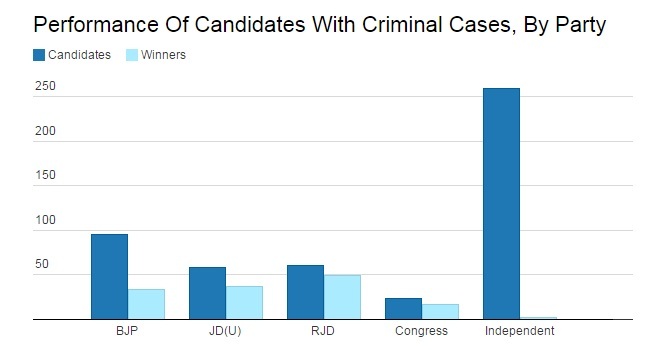 The Rashtriya Janata Dal led by Lalu Prasad, which emerged as the largest single party in the Bihar assembly with 80 seats, has the highest number of MLAs (49) with criminal cases pending against them. An analysis of affidavits filed by 3,450 candidates for the 243-seat assembly showed that 1,038 (30%) candidates had declared criminal charges, according to data sourced from Association for Democratic Reforms, a non-profit think-tank working on electoral and governance reforms. 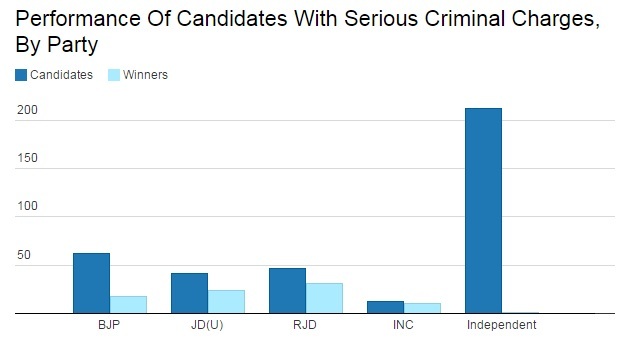 As many as 95 (61%) out of 157 candidates from the Bharatiya Janata Party and 58 (57%) out of 101 candidates fielded by the JD(U) reported criminal charges against them. 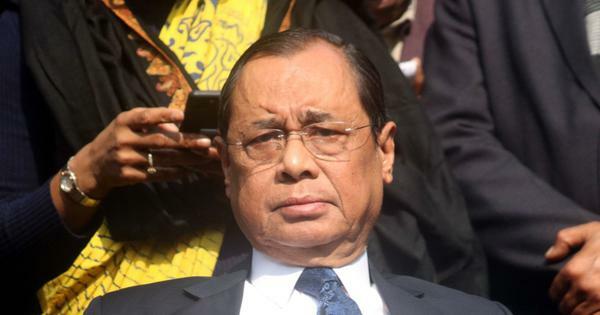 As many as 105 (67%) out of 157 candidates from the BJP, 76 (75%) out of 101 candidates fielded by the JD(U), 66 (65%) out of 101 candidates of the RJD, 25 (61%) out of 41 candidates fielded by the Congress and 229 (20%) out of 1,150 independent candidates have declared assets worth more than Rs 1 crore. This article was originally published on IndiaSpend, a data-driven and public-interest journalism non-profit.